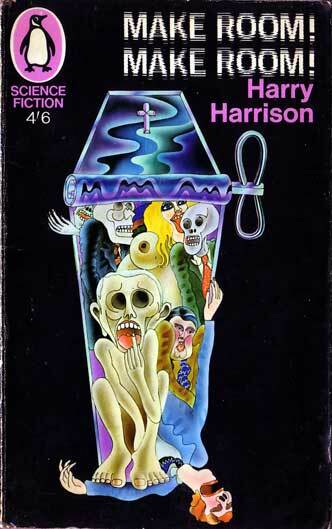 I chose to read Harry Harrison’s 1966 novel Make Room! Make Room! because I find its dystopian view of population growth and the impact of human activities on the world rather interesting, and indeed somewhat depressing. I think the book is relevent to this class because we’ve been talking about Malthusianism and about global warming and environmental harm, and this book shows one possible outcome if we aren’t careful about how we live our lives on this planet. It also details the society born from a dense, resource-deprived population, which isn’t really an example of Social Darwinism, but perhaps a look into psychology, which we’ve only briefly touched on. Harry Harrison was born on March 12th, 1925, in the town of Stamford, Connecticut. He eventually made his way to New York City, specifically Queens, where he grew up. (1) After getting out of high school, he was drafted into the military where he “worked on secret military computers, as an armourer and gunnery instructor, and finally – promoted to sergeant – became a Military Policeman”. (2) His service left him with a hatred for the military and war. In one interview, Harrison said he was inspired to write the book from reading a number of scientific journals, and doing a bit of research on his own about population growth and resources. (3) In another, he says this: “The idea came from an Indian I met after the war, in 1946. He told me, ‘Overpopulation is the big problem coming up in the world’ (nobody had ever heard of it in those days) and he said ‘Want to make a lot of money, Harry? You have to import rubber contraceptives to India.’”(4) The setting of the book is in 1999 because it was still fairly close to the time in which he wrote the book, enough so that it was believable. One of the characters in the book, Soloman Kahn, had a birthdate and military life similar to Harrison’s, but the character was not meant to be a reflection of him. The book takes place in a dystopian future in New York City, year 1999. In this future, the world population has skyrocketed, resources are scarce, and the world is heavily polluted and hot, with little water to go around. The story starts off from the viewpoint of a police investigator, Andy Rusch. It chronicles his day beating back the crowd in the streets, and breaking up a stampede on a store that had a sale on “soylent steaks”, which are rare and highly sought after among the poor. Once that is broken up we got to the point-of-view of a kid named Billy Chung, who managed to make off with a box of soylent steaks in the confusion. After he finds a place to hide and eats his share of them, he decides to sell the rest so that he can pay his way into a job delivering telegrams. It is during Billy’s first delivery that we meet another couple of important characters in the story, Michael O’Brien, and his girlfriend, Shirl Greene. These two live among the rich in a closed-off community, and it is when Billy goes in and notices much of the security is disabled that he gets the idea to rob the place. The robbery goes wrong when Mr. O’Brien walks in on Billy searching through a jewelry box, and attacks. Billy fights back by striking O’Brien across the head with the tire iron he used to break in, and the blow ends up killing O’Brien. It is O’Brien’s death that sets the stage for the rest of the book. Andy gets stuck with the task of investigating O’Brien’s death, and during the investigation, he developes a relationship with O’Brien’s “girlfriend” (really, something similar to a concubine, the prettier women were bought and sold like furniture), Shirl Greene. Since Greene has no place to go and has a contract permitting her to continue living in O’Brien’s suite until the contract ends, the two end up living together in opulence for a month. Make Room! Make Room! was adapted into the movie Soylent Green , which came out in 1973. The movie parallels the book pretty closely, just with different names for the characters, the murder victim being changed from a malicious businessman in the book to a kind soul in the movie, and a twist ending in the movie. Whereas the book has a rather unexciting ending, the movie leads on to the investigator doing some research about the victim’s past associations, finds he was associated with the company that makes Soylent products, and goes to investigate the company. He finds out a rather gruesome fact: Human corpses are used to make their Soylent Green product, and the movie just ends with him screaming “Soylent Green is people!” while being carried off. While it is obvious at this point that the future chronicled in the book hasn’t come to pass and probably won’t for quite some time if it ever does happen, there are some things documented in the book that either are currently happening, or have some basis in scientific research and Malthusianism stating how those things could happen. I’ll first talk about something we aren’t really seeing, and that is this idea that the population explodes to the point of their not being enough room and nowhere near enough resources for everyone. We have discussed a few times in class the concept of Malthusianism, a concept first proposed by Reverend Thomas Robert Malthus, which basically states that population growth is exponential, whereas the availability of resources is arithmetical, meaning that at some point population growth exceeds the availability of resources and the population begins to die off until it reaches sustainable levels again. I’d also like to discuss the psychological effect living in a huge population can have, although I don’t think it really pertains to anything we’ve discussed in class, except perhaps to a very small extent, Social Darwinism. In the book, we see the population riddled with crime, with a low value on human life, and with heavy segregation of the rich from the poor (they literally walled themselves in). A long time ago, I found an interesting video describing a study done by Dr. John B. Calhoun on a population of mice. They were placed in a “utopian” environment, where they had no natural predators, and unlimited access to food and water, and were just allowed to grow in population size boundlessly. In the beginning, everything goes as expected in the experiment: the mice define their territorial boundaries and begin to reproduce at an exponential rate. However, after a while, the crowded mice began to fight constantly, and population began to level off, and different classes of mice began to develop. There were certain mice who always got into fights, who had chewed-up tails and tended not to live very long. There were mice that were always picked on. Then there were “the beautiful ones”, which were physically perfect, but had withdrawn from society and spent their time eating and grooming rather than breeding and interacting with other mice. Eventually, the society becomes completely dysfunctional, and the population plummets until eventually dies off completely. The book doesn’t explicitly single out the topic of global warming, but it is sort of implied that it has happened in the book’s fictional world. In the book, we see extremely high temperatures, even in August, which would seem to suggest some sort of global warming has taken place. This is one of the things from the book that we can actually see happening in real life, albeit not (yet) to the extent described in the book. 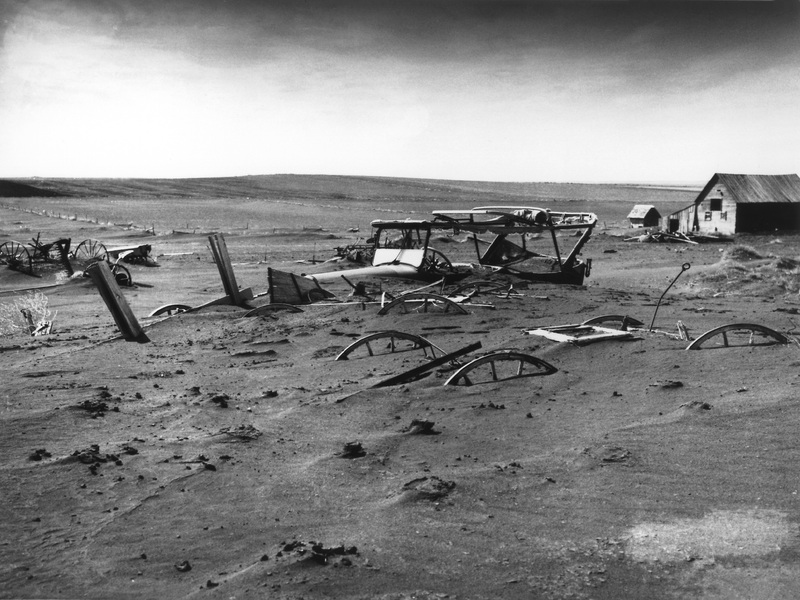 Before the book was written, even, we already had the dust bowl, where we outstripped our land’s resources and suffered from it. I think that, although the book was way off on its description of world population and climate from the actuality of the world in 1999, it still hits close to home on a couple of points. 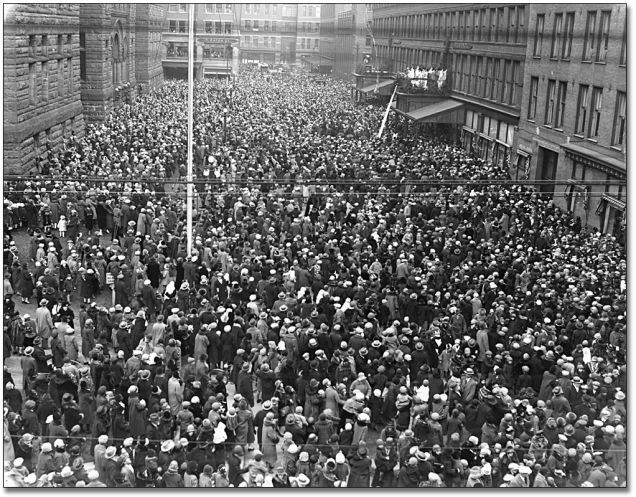 It accurately assessed that the world would heat up, the violence and mob mentality in the book is reflected to some extent in experiments on animal populations, and the measure of population control has already been implemented in China at least, even though the world’s population is on the decline and it really doesn’t seem to be necessary at this point. I think, if we were to go along the road to limitless population growth and limitless consumption, the story could very well become a reality. Tomlinson, Paul. 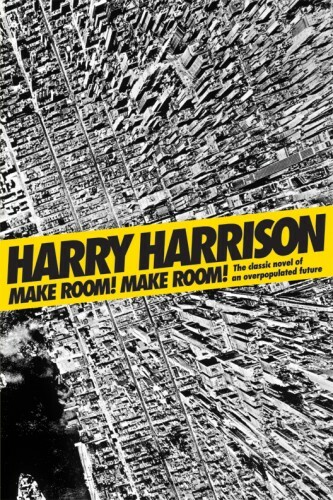 “Harry Harrison – A Brief Biography,” 2009. http://www.michaelowencarroll.com/hh/bio.htm. ———. 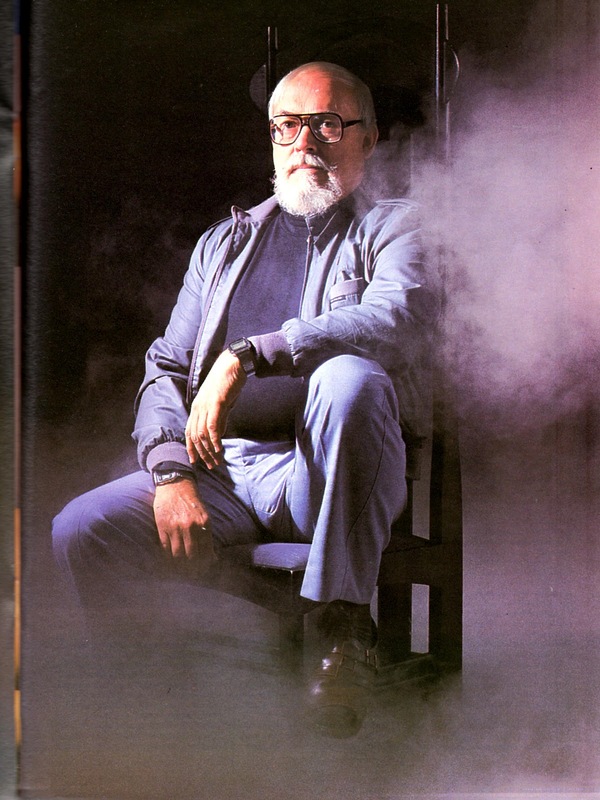 “Who Is Harry Harrison?,” July 1999. http://www.michaelowencarroll.com/hh/aboutwho.htm. Harry Harrison Interview. Interview by Paul Tomlinson, 1985. http://www.michaelowencarroll.com/hh/n07.htm. “Harry Harrison: When the World Was Young.” Locus Magazine, March 2006. http://www.locusmag.com/2006/Issues/03Harrison.html. Harrison, Harry. Make Room! Make Room! New York: Orb, 2008. Hesketh, Therese, Li Lu, and Zhu Wei Xing. The Effect of China’s One-Child Family Policy after 25 Years. Health Policy Report. The New England Journal of Medicine, September 15, 2005. http://www.nejm.org/doi/full/10.1056/NEJMhpr051833. Jun, Ma, and Naomi Li. “Tackling China’s Water Crisis Online,” September 21, 2006. https://www.chinadialogue.net/article/show/single/en/392-Tackling-China-s-water-crisis-online. Calhoun, John. Population Density and Social Pathology. National Institute of Mental Health, November 1970. https://www.ncbi.nlm.nih.gov/pmc/articles/PMC1501789/pdf/califmed00143-0080.pdf. “Climate Research Unit: Data,” n.d. http://www.cru.uea.ac.uk/cru/data/temperature/. When do you think the rest of the world will enact laws like China’s and how much will come too little to late? We have people who almost pride themselves on being able to pop out children in excessive numbers. The Dugger’s, a reality TV family, have made a life out of the 20 or so children they have. Many people will definitely fight the government on this. My worry is that even if it laws like these were to be set in motion in the US – how many couples would obey them? Probably never, to be honest. But I think if we had a more educated, more responsible populus, they would probably restrict themselves when it comes to reproduction, because they would realize that raising a child is very difficult and the money to do it doesn’t just magically spawn out of nowhere, not at all like they show on TV. I think the bigger problem is curbing consumption. 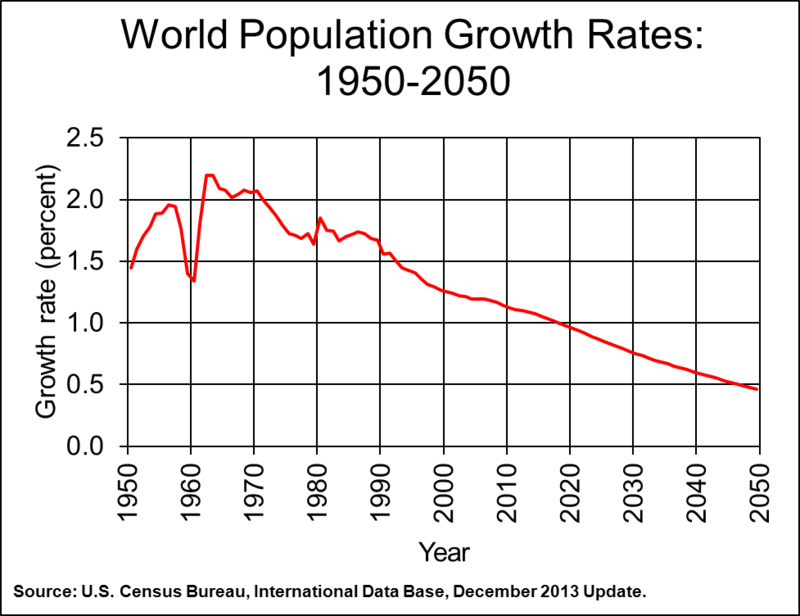 It seems like the world’s economy right now is absolutely dependant on growth; either the population has to grow, or each individual has to consume more and more to keep the shareholders happy, and that’s unhealthy. Valid point. For our supply and demand quotas to be met and for revenues to continue to grow population must grow or individuals must consume more. There are places in the world, such as the US, that have become almost too self sufficient and successful for our own good. The amount that we waste compared to the amount that we actually need and intake is ridiculous in comparison. I think that at this point we have probably peaked and will probably begin a downward slope soon.